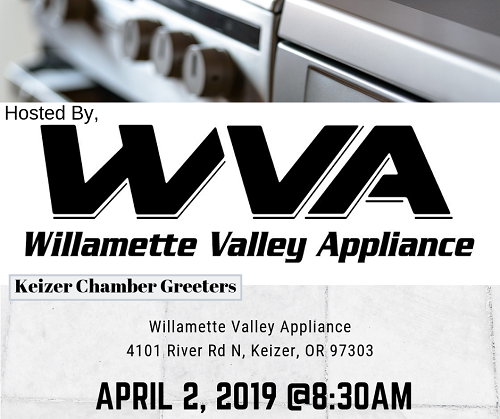 Our host for Greeters on April 2nd will be Willamette Valley Appliance. THey are located just across the street from the Keizer Chamber of Commerce on River Roadat the intersection of Sunset Ave & River Road. Join us to network with fellow members and guests and be sure to bring plenty of business cards and a door prize for added exposure.